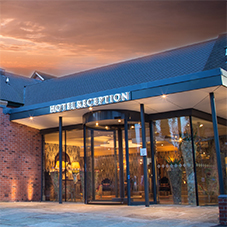 TORMAX have installed their 3-wing automatic revolving door at the elegant DoubleTree Hilton Hotel in Chester. 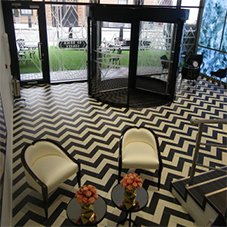 The revolving door is powered by the TORMAX 5201 operator, ensuring ongoing safe and reliable access. 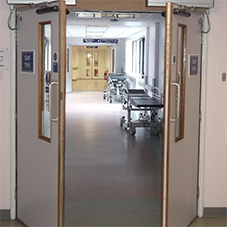 A TORMAX 1201 automatic swing door was also installed to one side. 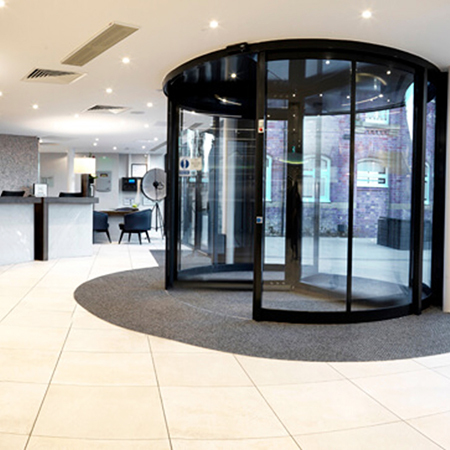 TORMAX was contracted to manufacture and install the revolving entrance combined with an automatic swing door, giving clear and easy access to the grand reception area. The design ensures that even in the event of power failure the brake mechanism stops the revolving door from being manually spun too fast.